We hope you will find these reference volumes useful as you learn about Japanese art. Iwasawa Oriental Arts is pleased to present a digital publication on Japanese lacquered arts centered on the tradition of 写 utsushi and an exhibition to celebrate the 30th anniversary of the gallery. This project embodies the strong motivation to present the true nature of creativity within tradition, which is deeply embedded in Japanese culture. The digital publication will utilize the latest technology in digital media and serve as a vehicle to educate a wider audience on the importance and soul of utsushi. 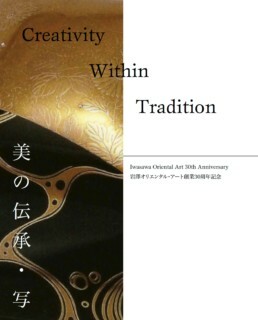 This book is being offered as a free research resource to the public and is a way to express our gratitude to society for their support of Iwasawa Oriental Art over the last 30 years. Download from iTunes, to read on your iPad with iBooks or on your computer with iTunes. 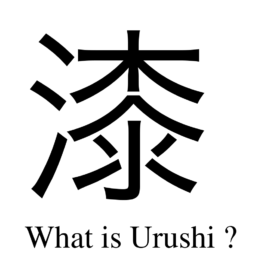 写 – What is Utsushi? An attribute of the Japanese tradition of inspiration, in which contemporary artists to emulate the forms, aesthetics, and spirit observed in the work of past artisans. Learn more at Wikipedia. View an introductory presentation about Urushi.